Use the image on the left to guide you in entering the bank routing and checking account numbers in the fields below. Do not use a savings account or a prepaid debit checking account. By checking this box and submitting this information, I confirm that I am at least 18 years old and have read and agree to the Enrollment Terms and Conditions. I authorize ZipLine to debit or credit the enrolled account that I use with my payment card. I authorize the listed payee, when the payment card is used for purchases, to debit my account for the amount indicated in the tender amount of my payment transaction. In the unlikely event this transaction (for the amount tendered) is returned unpaid, I agree that a return fee will be collected by the same electronic means mirroring fines permitted by State laws. NOTE: You may also incur separate fees from your Financial Institution (Bank) for returned transactions. Because of this, we highly recommend that you have Overdraft Protection on your checking account to avoid additional return fees when using this card. I acknowledge that I have voluntarily provided certain information to ZipLine in order to participate in this program. I further acknowledge that, by authorizing this enrollment, the checking account that I am providing has sufficient funds that will not allow the bank validation process to go negative and that the account is owned by me and is a valid account to transact business in the USA. Thank You for enrolling in the Business Account program powered by ZipLine! This program is made available to you on behalf of your local participating merchant. Safer than a credit card, as convenient as your bank debit card. WAIT for verification process. Your enrollment information will be verified with your bank and a small deposit and withdrawal will be submitted to your bank account for verification purposes. This process will be conducted by ZipLine within the NEXT 1 to 3 business days. 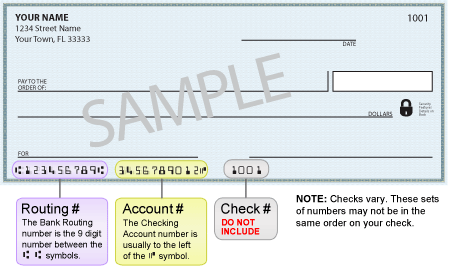 Validate checking account deposit. A "Payment Card Verification" email will be sent to you with a link and explicit instructions on how to validate the deposit and withdrawal amounts in order to activate your account. Validation cannot occur on the same day as enrollment. Check email filter. Please ensure that your email service does NOT filter our emails as spam or junk. You will need to allow system emails from nationalpaymentcard.com into your inbox for information about this program. Please remember your enrolled PIN. This PIN is also required to log in to your account at Zipline\'s user website. You MUST validate the deposit and withdrawal in order to activate your new payment card account! Please call Customer Service at if you do not receive our Welcome and Verification emails or to validate by phone. ACH Business is the business version of our consumer gas savings program that saves customers cents off per gallon on gas at participating stores. Customers can use either a card or mobile app to pay for gas. ACH Business delivers technology that enables you to automatically pay through your Business Bank account. How is it that we save cents per gallon? By using ACH Business, you help us save on fees associated with credit and debit cards. What we save, we pass those savings on to you. How is my ACH Business card or mobile app used for payment? We've partnered with National Payment Card Association (NPCA) to deliver technology that enables you to link a single checking account with an ACH Business card or the mobile app so you can pay for fuel at participating stores. Are there any fees to join or use ACH Business? No. There are no enrollment fees, or annual fees, and we do not charge fees for use of your ACH Business card or app. If your bank returns a transaction** unpaid, you will be charged a fee. We recommend that you have Overdraft Protection on the bank account used for your ACH Business transactions to avoid this return fee. **Transactions take 2-3 business days to process. How is ACH Business different than the consumer version? ACH Business has additional features that help the business owner control, track, and manage gas expenses, including the ability to set different limits for different drivers and simple reports that tell you the number of gallons purchased and total transaction cost. Do the drivers in my fleet need a smartphone to use ACH Business? No. They have the choice of using a card, smartphone (with ACH Business mobile app), or both. Can ACH Business be used for in-store purchases? Yes. ACH Business can be used for in-store purchases. What is an In-House account? In-house account is issued and approved by the merchant. ZipLine does not participate on the approval or business terms of the agreement with the business or billing of the services. We collect the transactions and provide them to the merchant for billing. The merchant has the option of providing a discount on gas, see merchant offering. How is my Merchant Business card or mobile app used for payment? We've partnered with ZipLine to deliver technology that enables your card based transactions to be recorded for later billing. No. There are no enrollment fees, or annual fees, and we do not charge fees for use of your ACH Business card or app. How is In-House different than the consumer version? The In-House account has additional features that help the business owner control, track, and manage gas expenses, including the ability to set different limits for different drivers and simple reports that tell you the number of gallons purchased and total transaction cost. Do the drivers in my fleet need a Smartphone? No. They have the choice of using a card or Smartphone if the service is applicable (with In-house mobile app), or both. Can In-House be used for in-store purchases? Yes, it can be used for in-store purchases. ZipLine (NPCA) is a payment settlement network for participating merchants using the Federal Reserve Automated Clearing House (ACH) system (the “Services”). Merchants choose ZipLine (NPCA) as a payment processor because its Services provide substantially lower processing costs compared with charges from credit and debit card companies enabling a merchant to provide brand loyalty by providing its customers with rewards for using this payment method. The rewards may be redeemed for discounts or items for sale. The reward is funded by the retailer/gas station operator through its reduction in processing costs. In order to properly provide the Services, it is necessary to provide ZipLine (NPCA) with certain information about yourself and your checking account. The requested information includes, but may not be limited to your name, address, email address, driver’s license number, government-issued ID number, loyalty card number, and checking account information. ZipLine (NPCA) will not modify your information without your permission, except in the case of correcting an obvious error (such as your zip code). You are responsible for keeping your financial account information with the enrolled bank account up to date. You may update or correct your information at www.npcmember.com or the member link provided on your merchant’s website at any time. ZipLine (NPCA) may disclose to the merchant(s) with which you transact business any information regarding your use of ZipLine’s (NPCA) Services at the particular merchant(s)’ location(s), and to other entities as permitted or required by law, including companies that perform marketing services for us or said merchants or with whom we have joint marketing agreements. These agreements allow us and our participating merchants to extend the value of your membership or provide you with special savings. Information will normally be limited to name, address and/or email address and purchase history. At ZipLine (NPCA), maintaining your trust and confidence is our top priority. Other than sharing information with participating merchants for the purposes of your use of the Services at the merchant(s)’ location(s), or as required or permitted by law, we do not share non-public personal information about our members or former members with non-affiliated third parties. We carefully manage and safeguard information among our companies and affiliates. We restrict access to your non-public information to participating merchants and those employees or affiliates who need such information in order to provide products, customer or collection services. In compliance with federal regulations, we maintain physical, electronic, and procedural safeguards designed to guard and prevent misuse of your non-public personal information. By applying for membership to ZipLine (NPCA) and enrolling your driver’s license information, you have voluntarily provided certain personal information in order to participate in this program. No information will be taken from your driver’s license's magnetic stripe at participating merchants to create a database. Your driver’s license will be used only to verify your identity as a participant in the program. If you send us correspondence, including e-mails and faxes, we retain such information electronically in the records of your account. We will also electronically retain customer service correspondence and other correspondence from ZipLine (NPCA) to you. We retain these records in order to measure and improve our customer service and to investigate potential fraud and violations. We may, over time, delete these records in accordance with our Data Retention policy or as permitted by law. This policy was last updated on 09/27/2018. ZipLine is a payment settlement network for participating merchants using the Federal Reserve Automated Clearing House (ACH) system (the “Services”). Merchants have chosen ZipLine as a payment processor because its Services provide substantially lower processing costs compared with merchants’ current charges from credit and debit card companies. In turn, a merchant provides its customers with rewards for using this payment method. The rewards may be in the form of discounts or redeemable points. The reward is funded by the retailer/gas station operator through its reduction in processing costs. ZipLine offers other services that do not process via ACH. In order to properly operate the Payment Card services, it is necessary to provide ZipLine with certain information about yourself for billing purposes. The requested information includes, but may not be limited to your name, address, email address, driver’s license number, government-issued ID number, loyalty card number, and other merchant requirements. ZipLine will not modify your information without your permission, except in the case of correcting an obvious error (such as your zip code). You may update or correct your information at online at the link provided by the merchant. ZipLine may disclose to the merchant(s), of which you transact business using the Services, any information regarding your use of ZipLine’s Services at the particular merchant(s)’ location(s). At ZipLine, maintaining your trust and confidence is our top priority. We do not sell or rent non-public personal information about our members or former members. Other than sharing information with participating merchants for the purposes of your use of the Services at the merchant(s) location(s), or as required or permitted by law, we do not share non-public personal information about our members or former members with non-affiliated third parties. We carefully manage and safeguard information among our companies and affiliates. By applying for membership to ZipLine and enrolling your driver’s license information, you have voluntarily provided certain personal information in order to participate in this program. Your driver’s license will be used only to verify your identity as a participant in the program. If you send us correspondence, including e-mails and faxes, we retain such information electronically in the records of your account. We will also electronically retain customer service correspondence and other correspondence from ZipLine to you. We retain these records in order to measure and improve our customer service and to investigate potential fraud and violations. We may, over time, delete these records as permitted by law. This policy was last updated on 02/14/2017. This agreement ("Agreement") is made by and between the person named in the "Payment Card Enrollment Application" ("you", "your", or "yours") for the use of the service offered by ZipLine, its affiliates, its subsidiaries or its assignees ("National Payment Card", "ZipLine", "we", "us", "our", "ours"), and shall govern your enrollment in, and use of the National Payment Card System Services ("Service") described herein. By enrolling in and using this Service, you agree to be bound by the terms and conditions of this Agreement and you acknowledge that you have read, understand and agree to abide by the terms of this Agreement. You agree that you are intending to form a legally binding contract between yourself and ZipLine. Any rights not expressly granted herein are reserved by ZipLine. Upon completion of the Payment Card Enrollment Application ("Application") and acceptance by ZipLine, you will become eligible to use the Services offered by ZipLine. ZipLine will make a direct deposit to your account via the Automated Clearinghouse Association to the account number designated in your Application. This deposit will be an indication to you that you have been enrolled in and may use the Service. If you plan to use your drivers license or a current loyalty card as your method of payment, ZipLine will issue you a User Identification ("User ID" or "PIN") selected by you at time of enrollment, that must be used in conjunction with the card at the time of purchase. If you do not plan to use your drivers license or other card, ZipLine will issue a proprietary debit card ("Payment Card") to you that can be used for payment for goods and services that you purchase from a participating merchant ("Merchant"). The Payment Card may be either mailed to you or you may pick up the Payment Card from the Merchants location, depending on the Merchant’s program. Regardless of the program type, you must activate your card before using your card to make payments. You must follow the instructions that accompany the Payment Card or accompany the email sent to you after receiving your enrollment. You will need your User ID (PIN) to log in to our system and have access to your account information and transaction history. You must be 18 or older in order to use the Service. A valid and functional email address must be provided. Your enrolled User ID (PIN) should not be shared with anyone. You agree to (a) provide true, accurate, current and complete information about yourself as prompted by the Payment Card Enrollment Application ("Application")(such information being the "Enrollment Data") and (b) maintain and promptly update the Enrollment Data to keep it true, accurate, current and complete. If you provide any information that is untrue, inaccurate, not current or incomplete, or if ZipLine has reasonable grounds to suspect that such data is untrue, inaccurate, not current or incomplete, ZipLine has the right to suspend or terminate the Service and refuse any and all current or future use of the Service (or any portion thereof). By enrolling in and using the Service, in addition to the terms of this Agreement, you agree to comply with all applicable federal, state/provincial and local laws, rules and regulations. If you enroll in our Payment Card service, you represent and warrant that you have authority to make withdrawals from and otherwise authorize debits and credits to your checking account designated in the Application. In the event that your bank does not allow electronic transactions, you authorize ZipLine to convert the electronic transaction data to a paper draft for presentment to your bank. In the event that your bank denies the electronic transaction and returns electronic payment to ZipLine, you authorize ZipLine to re-present the original electronic transaction amount. If your payment is returned unpaid (NSF, Account Closed/Frozen, etc. ), you authorize us to make an electronic fund transfer from your account to collect the original transaction and a "return fee". The return fee will be the maximum amount permissible by state law. This fee is separate from any fees that your bank may impose for such returns. We recommend that you have Overdraft Protection on the account used for your payment card transactions. ZipLine may share data with third parties to verify your identity and the validity of the data presented during enrollment. As an enrollee, your right to use the Service is nontransferable and any rights to your ZipLine I.D. or contents within your account terminate upon written notification. Your account may be terminated and all contents therein permanently deleted if your bank account is closed, you file for bankruptcy or your account is under judgment or lien. The Service and any related software(s) or documentation are the property of ZipLine, its assignees and/or content suppliers and are protected by United States and International intellectual property rights laws. (d) If you give us your written permission. reasonable precautions that we have taken. THIS SERVICE IS PROVIDED "AS IS" AND WE MAKE NO WARRANTY OF ANY KIND, EXPRESS OR IMPLIED, INCLUDING ANY IMPLIED WARRANTY OF MERCHANTABILITY OR FITNESS FOR A PARTICULAR PURPOSE, IN CONNECTION WITH THE SERVICES PROVIDED TO YOU UNDER THIS AGREEMENT. WE DO NOT AND CANNOT WARRANT THAT THE SERVICE WILL OPERATE WITHOUT ERRORS, OR THAT THE SERVICE WILL BE AVAILABLE AND OPERATIONAL AT ALL TIMES. WE ARE NOT RESPONSIBLE FOR THE QUALITY, SAFETY, LEGALITY, OR ANY OTHER ASPECT OF ANY GOODS OR SERVICES YOU PURCHASE THROUGH THE USE OF THIS SERVICE. Tell us AT ONCE if you believe your card or PIN has been lost or stolen. Telephoning is the best way of keeping your possible losses down. You could lose all the money in your account (plus your maximum overdraft line of credit). If you tell us within 4 business days after you learn of the loss or theft of your card or PIN, you can lose no more than $50 if someone used your card or PIN without your permission. If you do NOT tell us within 4 business days after you learn of the loss or theft of your card PIN, and we can prove we could have stopped someone from using your card or PIN without your permission if you had told us, you could lose as much as $500. Also, if your statement provided by the financial institution holding your account shows transfers made with your Payment Card or through the use of your User ID or PIN that you did not make, tell us at once. If you do not tell us within 90 days after the statement was made available to you at secure.paymentcard.com/biz you may not get back any money you lost after the 90 days if we can prove that we could have stopped someone from taking the money if you had told us in time. If a good reason (such as a long trip or a hospital stay) kept you from telling us, we will extend the time periods. (b)Business days: For purposes of these disclosures, our business days are (Monday through Friday). Holidays are (not) included. Account access. You may use your card and PIN to pay for purchases at places that have agreed to accept the card. Limitations on frequency of transfers -- for security reasons, there are limits on the number of transfers you can make using our point-of-sale transfer service. You can use our point-of-sale transfer service for no more than three transactions each day and 8 transactions each week. Limitations on dollar amounts of transfers -- You may buy up to $75 - $100 (as determined by the Merchant) per transaction not to exceed $150 worth of goods or services each day and $500 each week that you use the card in our point-of-sale transfer service. Terminal transfers. You can get a receipt at the time you make any transfer to or from your account using our Service. We must hear from you no later than 90 days after your financial institution sent you the FIRST statement on which the problem or error appeared. (a) Tell us your name and account number (if any). If you tell us orally, we may require that you send us your complaint or question in writing within 10 business days. We will determine whether an error occurred within 10 business days after we hear from you and will correct any error promptly. If we need more time, however, we may take up to 45 days to investigate your complaint or question. If we decide to do this, we will credit your account within 10 business days for the amount you think is in error, so that you will have the use of the money during the time it takes us to complete our investigation. If we ask you to put your complaint or question in writing and we do not receive it within 10 business days, we may not credit your account. For errors involving new accounts, point-of-sale, or foreign-initiated transactions, we may take up to 90 days to investigate your complaint or question. For new accounts, we may take up to 20 business days to credit your account for the amount you think is in error. We will tell you the results within three business days after completing our investigation. If we decide that there was no error, we will send you a written explanation. You may ask for copies of the documents that we used in our investigation. IF YOUR CARD IS LOST OR STOLEN, NOTIFY US AT ONCE by calling or logging into your account at www.npcmember.com and clicking on “Lost Card?”. If you make a claim seeking a refund or provisional credit from us, you warrant and represent that you have not made a claim for the same transaction or received a payment or refund from any other party including but not limited to your depositary financial institution or a Merchant. If you have received a payment or refund from any other party and you also receive a payment or refund for the same transaction from us, you hereby authorize us to immediately reverse the payment or refund given to you by ZipLine. (b) your User ID and all related information, content, data associated with or inside your account (or any party thereof) will be deleted. You agree that termination of this Agreement by you or us will not affect any of our rights or your obligations arising under this Agreement prior to termination. ZipLine may provide you with notices including those regarding changes to this Agreement by email, regular mail or posting on the Member Site. Entire Agreement. This Agreement constitutes the entire agreement between you and ZipLine governing your use of the Service and supersedes any prior agreements between you and ZipLine relating to that subject matter. Choice of Law and Forum - This Agreement is governed and interpreted under the laws of the State of Florida, United States of America, without giving effect to the conflicts of laws provisions of any jurisdiction. You consent and submit to the exclusive jurisdiction of the state and federal courts located in the state of Florida, United States of America, in all questions and controversies arising out of this Agreement or related to your use of the Service. Waiver and Severability of Terms - The failure of ZipLine to exercise or enforce any right or provision of this Agreement shall not constitute a waiver of such right or provision. If any provision of this Agreement is found by a court of competent jurisdiction to be invalid, the parties nevertheless agree that the court should endeavor to give effect to the parties' intentions as reflected in the provision and the other provisions of this Agreement remain in full force and effect. Survival of Claims - You agree that regardless of any statute or law to the contrary, any claim or cause of action arising out of or related to use of the Service must be filed within one year after such claim or cause of action arose or be forever barred. Electronic Notifications - ZipLine will provide you with all disclosures, policies, notices and other communications about the Service, including this Agreement, in electronic form, and ZipLine will provide revisions and amendments to this Agreement, and such other information, including but not limited to information under Regulation E and other laws and regulations, electronically as a part of the Agreement or otherwise as a part of the Service. We will provide all future notices by posting them on our website or by email. By accepting this Agreement, you are also consenting to accept documents electronically that relate to all future transactions you conduct using this Service. We will provide you with notices, amendments to this Agreement, and other communications in electronic form rather than in paper form. These electronic records will be stored for you to pick-up at ZipLine's website at www.npcmember.com. ZipLine will send you an email when a notice is first posted to the website, letting you know that a notice is now available to you for pick-up. The notices will be stored in the confidential section of ZipLine's website and they will be available to you for at least 180 days following the date the notice is first posted for pick-up or the date ZipLine sends the email to you, whichever is later. To access the notices, you will need to use the security procedures used as part of the Service. Paper copies of the electronic records described above will be made available to you only if you specifically request a copy. You can request a copy of an electronic record by contacting ZipLine by phone at or via email. After you have consented to this Agreement, you may withdraw your consent to receive electronic records at any time by contacting ZipLine by phone at or via email. However, if you withdraw your consent to receive electronic records then your use of the Service will be terminated and you will no longer be able to use the Service. Use of the Service requires ZipLine to maintain your current email address. You agree to provide ZipLine with any updated information needed in order for us to be able to provide you with electronic records from time to time and at any time. This includes, but is not limited to, providing ZipLine with any changes to your email address by contacting us by phone at or via email. You may print and retain a copy of the Agreement or any other notices or communication; however, we only provide these documents electronically. You can obtain a copy of the most recent agreement at a later date by going to the disclosure section on the login screen. If ZipLine changes the minimum hardware or software requirements needed to access or retain electronic records, and the changes creates a material risk that you will not be able to access or retain a subsequent record, then ZipLine will let you know about the change(s) before the change(s) takes effect and let you know what the new requirements are. By checking the authorization box in the Payment Card Enrollment Application screen you are thereby accepting and agree to be bound by the above terms and conditions. By providing your consent to this Agreement, you also confirm that you are able to access all of the disclosures, records and other information provided to you in electronic form. This policy was last updated on 04/20/2012. This agreement ("Agreement") is made by and between the person named in the "Payment Card Enrollment Application" ("you", "your", or "yours") for the use of the service offered by National Payment Card Association dba ZipLine, its affiliates, its subsidiaries or its assignees ("National Payment Card", "ZipLine ", "we", "us", "our", "ours"), and shall govern your enrollment in, and use of the National Payment Card System Services ("Service") described herein. Upon completion of the Payment Card Enrollment Application ("Application") and acceptance by ZipLine, you will become eligible to use the Services offered by ZipLine. . The Payment Card may be either mailed to you or you may pick up the Payment Card from the Merchants location, depending on the Merchant’s program. Regardless of the program type, you must have and active card to make purchases. You must follow the instructions that accompany the Payment Card or accompany the email sent to you after receiving your enrollment. You will need your User ID (PIN) to log in to our system and have access to your account information and transaction history. You must be 18 or older to use the Service. A valid and functional email address must be provided. Your enrolled User ID (PIN) should not be shared with anyone. You agree to (a) provide true, accurate, current and complete information about yourself as prompted by the Payment Card Enrollment Application ("Application") (such information being the "Enrollment Data") and (b) maintain and promptly update the Enrollment Data to keep it true, accurate, current and complete. If you provide any information that is untrue, inaccurate, not current or incomplete, or if ZipLine has reasonable grounds to suspect that such data is untrue, inaccurate, not current or incomplete, ZipLine has the right to suspend or terminate the Service and refuse any and all current or future use of the Service (or any portion thereof). By enrolling in and using the Service, in addition to the terms of this Agreement, you agree to comply with all applicable federal, state/provincial and local laws, rules and regulations. If you enroll in our Payment Card service, you represent and warrant that you have authority to make transactions on behalf of your company. As an enrollee, your right to use the Service is nontransferable and any rights to your ZipLine I.D. or contents within your account terminate upon written notification. Your account may be terminated if requested by the merchant and r your account is under judgment or lien. This is limited to the ability to conduct the transaction on behalf of the merchant. ZipLine does not access your bank account. The merchant generates a bill for your transactions and the merchant agreement rules the relationship with you regarding the usage of this account. Tell us AT ONCE if you believe your card or PIN has been lost or stolen. Telephoning is the best way of keeping your possible losses down. Limitations on frequency of transfers -- for security reasons, there are limits on the number of transfers you can make using our point-of-sale transfer service. These limitations will be outlined by the merchant. Limitations on dollar amounts of transfers. Limitations on dollar amounts of transfers -- The merchant may impose limits on the amount of transactions. See their agreement. Entire Agreement - This Agreement constitutes the entire agreement between you and ZipLine governing your use of the Service and supersedes any prior agreements between you and ZipLine relating to that subject matter. Choice of Law and Forum - This Agreement is governed and interpreted under the laws of the State of Florida, United States of America, without giving effect to the conflicts of law’s provisions of any jurisdiction. You consent and submit to the exclusive jurisdiction of the state and federal courts located in the state of Florida, United States of America, in all questions and controversies arising out of this Agreement or related to your use of the Service. We will provide you with notices, amendments to this Agreement, and other communications in electronic form rather than in paper form. These electronic records will be stored for you to pick-up at ZipLine s website at www.npcmember.com. ZZipLine will send you an email when a notice is first posted to the website, letting you know that a notice is now available to you for pick-up. The notices will be stored in the confidential section of ZipLine 's website and they will be available to you for at least 180 days following the date the notice is first posted for pick-up or the date ZipLine sends the email to you, whichever is later. To access the notices, you will need to use the security procedures used as part of the Service. Paper copies of the electronic records described above will be made available to you only if you specifically request a copy. You can request a copy of an electronic record by contacting ZipLine by phone at or via email. This policy was last updated on 02/01/2017. Unless otherwise indicated, these Cumberland Farms, Inc. SmartPay Check-Link℠ and SmartPay Check-Link BusinessSM Terms and Conditions and End User License Agreement ("Terms and Conditions") apply to your use of Cumberland Farms's SmartPay Check-Link℠ and Cumberland Farms's SmartPay Check-Link BusinessSM via swipe card, mobile application or any other application (collectively, the "SmartPay Check-Link App"). The terms "we," "us" or "our" used in these Terms and Conditions refer to Cumberland Farms, Inc. and the terms "you" and "your" refer to any consumer user or business/fleet user (including the business/fleet and its drivers and employees) of the SmartPay Check-Link App. Cumberland Farms grants you a license to use the SmartPay Check-Link App and its associated software and digital content for end use only under the terms and conditions set forth in these Terms and Conditions. PLEASE READ THESE TERMS AND CONDITIONS CAREFULLY BEFORE USING THE SMARTPAY CHECK-LINK APP. By using the SmartPay Check-Link App, you signify your agreement to these Terms and Conditions. If you do not agree to these Terms and Conditions, you may not use the SmartPay Check-Link App. Cumberland Farms grants to you a limited, nontransferable license to use the SmartPay Check-Link App through the card service or any other service or on any mobile device that you own or control in accordance with the terms and conditions established by your mobile device provider, internet service provider, or any website or application store from which you download the SmartPhone App (the "Usage Rules"). You may not rent, lease, lend, sell, transfer, redistribute, or sublicense the SmartPay Check-Link App, and, if you sell your mobile device, you must remove the SmartPay Check-Link App before the sale. You may not copy (except as expressly permitted by this license and the Usage Rules), decompile, reverse-engineer, disassemble, attempt to derive the source code of, modify, or create derivative works of the SmartPay Check-Link App, any updates, or any part thereof (except and only to the extent that any foregoing restriction is prohibited by applicable law). Any attempt to do so is a violation of the rights of Cumberland Farms and/or its licensors or affiliates. If you breach this restriction, you may be subject to prosecution and damages. The terms of this license will govern any upgrades provided by Cumberland Farms that replace or supplement the SmartPay Check-Link App, unless such upgrade is accompanied by a separate license in which case the terms of that license will govern. These Terms and Conditions constitute the entire agreement between you and Cumberland Farms and govern your use of the SmartPay Check-Link App, except for business/fleet users, who, in addition to these Terms and Conditions, are also subject to additional terms and conditions included in a separate credit application as discussed below. If any part of these Terms and Conditions is held invalid or unenforceable, that portion shall be construed in a manner consistent with applicable law to reflect, as nearly as possible, the original intentions of the parties, and the remaining portions shall remain in full force and effect. You acknowledge that these Terms and Conditions are supported by reasonable and sufficient consideration, including your use of the SmartPay Check-Link App, and you acknowledge receiving that consideration. The SmartPay Check-Link App is available for use only at participating Cumberland Farms locations. We reserve the right to modify or discontinue the SmartPay Check-Link App, the Cumberland Farms SmartPay Check-Link℠ program, or the Cumberland Farms SmartPay Check-Link BusinessSM program at any time for any reason without notice. For your safety, due to fire risk, each vehicle gas purchase requires a separate SmartPay Check- Link App transaction. The Cumberland Farms SmartPay Check-Link App is provided by Cumberland Farms in conjunction with National Payment Card Association ("National Payment Card"). In order to use the SmartPay Check-Link App, you must have an established and valid consumer or business account with National Payment Card ("National Payment Card Account"). All terms and conditions of your National Payment Card Account are governed by your Enrollment Agreement (and any other related agreements) with National Payment Card. Cumberland Farms shall not be responsible for any losses arising out of the unauthorized or improper use of your National Payment Card Account. Cumberland Farms does not warrant and will not have any liability or responsibility for any services, materials, products or websites provided by National Payment Card. You agree that you will not use any NPC materials in a manner that would infringe or violate the rights of any other party and that Cumberland Farms is not in any way responsible for any such use by you. Note that separate or additional terms and conditions apply to services offered by National Payment Card, or the application store or website from which you are able to download the Cumberland Farms SmartPay Check-Link App. Any such terms are posted by the party offering the service. Any such terms are in addition to these Terms and Conditions; in the event of a conflict, these Terms and Conditions prevail. Use of the Cumberland Farms SmartPay Check-Link App via mobile device requires a compatible mobile device, Internet access, and certain software (fees may apply); may require periodic updates; and may be affected by the performance of these factors. You acknowledge that fees may apply to your receipt of data on your mobile device and you agree to be responsible for these fees. For business/fleet users, in order to use the SmartPay Check-Link App, the business/fleet must receive credit approval from Cumberland Farms through a separate credit application process. The credit application process includes a credit check and approval of the business/fleet, and is not a personal credit check and approval. All terms and conditions of credit for a business/fleet are governed by the terms and conditions included in your credit application, in any other documents or web pages utilized to sign up for SmartPay Check-Link BusinessSM (and any other related documents or agreements provided during the credit process). Those terms and conditions on the credit application, SmartPay Check-Link BusinessSM sign-up web pages and related documents are separate from, and in addition to, these Terms and Conditions. In the event of a conflict, these Terms and Conditions prevail. The SmartPay Check-Link App and all services, functions, information, and other content ("Content") contained in the SmartPay Check-Link App are copyrighted property owned exclusively by Cumberland Farms and/or our licensors or affiliates (including, as applicable, NATIONAL PAYMENT CARD ASSOCIATION and EQUIFAX INFORMATION SERVICES, LLC). All trademarks, service marks, trade names, and trade dress are proprietary to Cumberland Farms and/or our licensors or affiliates. We may change the SmartPay Check-Link App or delete Content or features at any time, in any way, for any or no reason. We may give you notice that we have removed or disabled access to certain material by means of a general notice on the Cumberlandfarms.com\SmartPay website. Except as we specifically agree in writing, neither the SmartPay Check-Link App nor any content from the SmartPay Check-Link App may be used, reproduced, transmitted, distributed or otherwise exploited in any way other than as part of the SmartPay Check-Link App and in compliance with these Terms and Conditions. You shall not access or attempt to access the SmartPay Check-Link App or any licensor or affiliate account that you are not authorized to access. You agree not to modify the SmartPay Check-Link App in any manner or form, or to use modified versions of the SmartPay Check-Link App, for any purposes including obtaining unauthorized access to the SmartPay services or any licensor or affiliate account. ANY VIOLATION OF THESE PROVISIONS MAY SUBJECT YOU TO CIVIL AND CRIMINAL PENALTIES, INCLUDING POSSIBLE MONETARY DAMAGES, FOR COPYRIGHT INFRINGEMENT. In addition, Cumberland Farms has the right to terminate the license, in appropriate circumstances, as determined by us in our sole discretion, of users who are infringers of copyright, who use the SmartPay Check-Link App for or in connection with unlawful activities, or who otherwise violate these Terms and Conditions. THE SMARTPAY CHECK-LINK APP AND ITS FUNCTION AND CONTENT ARE PROVIDED "AS IS" AND WITHOUT WARRANTIES OF ANY KIND. TO THE FULLEST EXTENT PERMISSIBLE PURSUANT TO APPLICABLE LAW, WE ON BEHALF OF OURSELVES AND OUR LICENSORS AND AFFILIATES (INCLUDING, AS APPLICABLE, NATIONAL PAYMENT CARD ASSOCIATION AND EQUIFAX INFORMATION SERVICES, LLC) DISCLAIM ALL WARRANTIES, EXPRESS OR IMPLIED, INCLUDING WARRANTIES OF MERCHANTABILITY, FITNESS FOR A PARTICULAR PURPOSE, ACCURACY, COMPLETENESS, AVAILABILITY, SECURITY, COMPATIBILITY AND NONINFRINGEMENT. NEITHER WE NOR OUR LICENSORS AND AFFILIATES WARRANT THAT THE SMARTPAY CHECK-LINK APP OR ANY OF ITS FUNCTION OR CONTENT WILL BE ERROR- FREE, THAT ACCESS THERETO WILL BE UNINTERRUPTED, THAT DEFECTS WILL BE CORRECTED, OR THAT THE SMARTPAY CHECK-LINK APP OR THE STORES AND SERVERS THAT MAKE THE SMARTPAY CHECK-LINK APP AND CONTENT AVAILABLE ARE FREE OF VIRUSES OR OTHER HARMFUL COMPONENTS. NEITHER WE NOR OUR LICENSORS OR AFFILIATES WARRANT OR MAKE ANY REPRESENTATIONS REGARDING THE DOWNLOAD OR USE OR THE RESULTS OF THE DOWNLOAD OR USE OF ANY CONTENT. YOU HEREBY IRREVOCABLY WAIVE ANY CLAIM AGAINST US AND OUR LICENSORS AND AFFILIATES WITH RESPECT TO THE FUNCTION AND CONTENT OF THE SMARTPAY CHECK-LINK APP AND RELATED SERVICES AND ANY CONTENT YOU PROVIDE TO THIRD PARTY SITES (INCLUDING ANY PERSONAL AND FINANCIAL INFORMATION). YOU EXPRESSLY AGREE THAT YOUR USE OF, OR INABILITY TO USE, THE SMARTPAY CHECK-LINK APP IS AT YOUR SOLE RISK AND SHOULD THE SMARTPAY CHECK-LINK APP OR SERVICES PROVE DEFECTIVE, YOU ASSUME THE ENTIRE COST OF ALL NECESSARY SERVICING, REPAIR, OR CORRECTION. WE SHALL USE REASONABLE EFFORTS TO PROTECT INFORMATION SUBMITTED BY YOU IN CONNECTION WITH THE SMARTPAY CHECK-LINK APP, BUT YOU AGREE THAT YOUR SUBMISSION OF SUCH INFORMATION IS AT YOUR SOLE RISK, AND EACH WE AND OUR LICENSORS AND AFFILIATES HEREBY DISCLAIMS ANY AND ALL LIABILITY TO YOU FOR ANY LOSS OR DAMAGE RELATING TO SUCH INFORMATION IN ANY WAY. LIMITATION OF LIABILITY UNDER NO CIRCUMSTANCES, INCLUDING NEGLIGENCE, SHALL WE, OUR LICENSORS OR AFFILIATES, OR ANY OF THE FOREGOING ENTITIES' RESPECTIVE RESELLERS, DISTRIBUTORS, CREDIT AGENCIES, SERVICE PROVIDERS OR SUPPLIERS, BE LIABLE TO YOU OR ANY OTHER PERSON OR ENTITY FOR ANY DIRECT, INDIRECT, INCIDENTAL, SPECIAL OR CONSEQUENTIAL DAMAGES INCLUDING LOST PROFITS, PERSONAL INJURY (INCLUDING DEATH) AND PROPERTY DAMAGE OF ANY NATURE WHATSOEVER, THAT RESULT FROM (A) THE USE OF, OR THE INABILITY TO USE, THE SMARTPAY CHECK-LINK APP OR ITS CONTENT, OR (B) THE CONDUCT OR ACTIONS OF ANY USER OF THE SMARTPAY CHECK-LINK APP OR ANY OTHER PERSON OR ENTITY, EVEN IF WE HAVE BEEN ADVISED OF THE POSSIBILITY OF SUCH DAMAGES. IN NO EVENT SHALL OUR TOTAL LIABILITY TO YOU FOR ALL DAMAGES, LOSSES AND CAUSES OF ACTION WHETHER IN CONTRACT, TORT (INCLUDING NEGLIGENCE) OR OTHERWISE EXCEED THE AMOUNT PAID BY YOU, IF ANY, OR $100 (WHICHEVER IS LESS) FOR ACCESSING OR PARTICIPATING IN ANY ACTIVITY RELATED TO THE SMARTPAY CHECK-LINK APP. MOREOVER, UNDER NO CIRCUMSTANCES SHALL WE, OUR LICENSORS OR LICENSEES OR AFFILIATES, OR ANY OF THE FOREGOING ENTITIES' RESPECTIVE RESELLERS, DISTRIBUTORS, SERVICE PROVIDERS OR SUPPLIERS, BE HELD LIABLE FOR ANY DELAY OR FAILURE IN PERFORMANCE RESULTING DIRECTLY OR INDIRECTLY FROM AN ACT OF FORCE MAJEURE OR CAUSES BEYOND OUR OR THEIR REASONABLE CONTROL. WE MAY TERMINATE YOUR FURTHER ACCESS TO THE SMARTPAY CHECK-LINK APP OR CHANGE THE SMARTPAY CHECK-LINK APP OR DELETE ITS CONTENT OR FEATURES IN ANY WAY, AT ANY TIME AND FOR ANY REASON OR NO REASON. THE LIMITATIONS, EXCLUSIONS AND DISCLAIMERS IN THIS SECTION AND ELSEWHERE IN THESE TERMS AND CONDITIONS APPLY TO THE MAXIMUM EXTENT PERMITTED BY APPLICABLE LAW. You agree that any action at law or in equity arising out of or relating to these Terms and Conditions or the SmartPay Check-Link App shall be filed, and that venue properly lies, only in state or federal courts located in the borough of Manhattan, New York, New York, and you hereby consent and submit to the personal jurisdiction of such courts for the purposes of litigating any such action. At any time, we may amend these Terms and Conditions (including by modification, deletion and/or addition of any portion thereof). If we make a material amendment to these Terms and Conditions, we will post such amendment or amended terms on the Cumberland Farms website at Cumberlandfarms.com\SmartPay. Such amendment will be effective immediately and incorporated into these Terms and Conditions. Your continued use of the SmartPay Check-Link App will be deemed acceptance thereof. You should review the Terms and Conditions before using the SmartPay Check-Link App. These Terms and Conditions shall be governed by and construed in accordance with the laws of the State of New York and the laws of the United States, without giving effect to any principles of conflicts of law. Your use of the SmartPay Check-Link App also may be subject to other local, state, national, or international laws. We make no representation that the SmartPay Check-Link App or its Content is appropriate or available for use in any particular location. Those who choose to download the SmartPay Check-Link App do so at their own initiative and are responsible for compliance with all applicable laws. If any provision of these Terms and Conditions shall be unlawful, void or for any reason unenforceable, then that provision shall be deemed severable from these Terms and Conditions and shall not affect the validity and enforceability of any remaining provisions. No waiver of any provision of these Terms and Conditions by us shall be deemed a further or continuing waiver of such provision or any other provision, and our failure to assert any right or provision under these Terms and Conditions shall not constitute a waiver of such right or provision. In these Terms and Conditions, the word "including" is used illustratively, as if followed by the words "but not limited to." YOU AGREE THAT ANY CAUSE OF ACTION YOU MAY HAVE ARISING OUT OF OR RELATED TO THESE TERMS AND CONDITIONS OR THE SMARTPAY CHECK-LINK APP MUST COMMENCE WITHIN ONE (1) YEAR AFTER THE CAUSE OF ACTION ACCRUES; OTHERWISE, SUCH CAUSE OF ACTION SHALL BE PERMANENTLY BARRED. BY USING THE SMARTPAY CHECK-LINK APP, YOU AGREE, TO THE EXTENT PERMITTED BY LAW, TO INDEMNIFY AND HOLD CUMBERLAND FARMS, ITS DIRECTORS, OFFICERS, SHAREHOLDERS, EMPLOYEES, AFFILIATES, AGENTS, CONTRACTORS, PRINCIPALS, AND LICENSORS HARMLESS WITH RESPECT TO ANY CLAIMS ARISING OUT OF YOUR BREACH OF THESE TERMS AND CONDITIONS, YOUR USE OF THE SMARTPAY CHECK-LINK APP, OR ANY ACTION TAKEN BY CUMBERLAND FARMS AS PART OF ITS INVESTIGATION OF A SUSPECTED VIOLATION OF THESE TERMS AND CONDITIONS OR OF USE OF THE SMARTPAY CHECK-LINK APP FOR OR IN CONNECTION WITH UNLAWFUL ACTIVITIES, OR AS A RESULT OF ITS DETERMINATION THAT A VIOLATION OF THESE TERMS AND CONDITIONS HAS OCCURRED. YOU CANNOT SUE OR RECOVER ANY DAMAGES FROM CUMBERLAND FARMS, ITS DIRECTORS, OFFICERS, SHAREHOLDERS, EMPLOYEES, AFFILIATES, AGENTS, CONTRACTORS, PRINCIPALS, AND LICENSORS AS A RESULT OF ITS DECISION TO WARN YOU, TO SUSPEND OR TERMINATE YOUR ACCESS TO THE SMARTPAY CHECK-LINK APP, OR TO TAKE ANY OTHER ACTION DURING THE INVESTIGATION OF A SUSPECTED VIOLATION OR UNLAWFUL ACTIVITIES, OR AS A RESULT OF CUMBERLAND FARMS' DETERMINATION THAT A VIOLATION OF THESE TERMS AND CONDITIONS HAS OCCURRED. THIS INDEMNITY AND HOLD HARMLESS PROVISION APPLIES TO ALL VIOLATIONS DESCRIBED IN OR CONTEMPLATED BY THESE TERMS AND CONDITIONS. TO THE MAXIMUM EXTENT PERMITTED BY APPLICABLE LAW, YOU HEREBY KNOWINGLY, VOLUNTARILY AND INTENTIONALLY WAIVE ANY RIGHT NOW OR HEREAFTER EXISTING TO HAVE A TRIAL BY JURY IN RESPECT OF ANY SUIT, ACTION OR PROCEEDING ARISING OUT OF OR RELATING TO YOUR USE OF THE SITE OR ANY OTHER MATTER REFERENCED HEREIN. You may not use or otherwise export or re-export the SmartPay Check-Link App except as authorized by United States law and the laws of the jurisdiction in which the SmartPay Check-Link App was obtained. In particular, but without limitation, the SmartPay Check-Link App may not be exported or re-exported (a) into any U.S.-embargoed countries or (b) to anyone on the U.S. Treasury Department's Specially Designated Nationals List or the U.S. Department of Commerce Denied Persons List or Entity List. By using the SmartPay Check-Link App, you represent and warrant that you are not located in any such country or on any such list. The license is effective until terminated by you or Cumberland Farms. Your rights under this license will terminate automatically without notice from Cumberland Farms if you fail to comply with these Terms and Conditions. Upon termination of the license, you shall cease all use of the SmartPay Check-Link App and destroy all copies, full or partial, of the SmartPay Check-Link App. Cumberland Farms reserves the right to take all actions it believes are reasonably necessary or appropriate to enforce or verify compliance with any part of these Terms and Conditions. You agree that Cumberland Farms has the right, without liability to you, to disclose any registration information to law enforcement authorities, government officials, and/or a third party, as Cumberland Farms believes is reasonably necessary or appropriate to enforce or verify compliance with any part of these Terms and Conditions, including Cumberland Farm's right to cooperate with any legal process or third party claim relating to your use of the SmartPay Check-Link App. Any maintenance and support services provided by Cumberland Farms shall relate to the SmartPay Check-Link App only, unless required under applicable law. Cumberland Farms is not responsible for providing maintenance and support services with respect to your National Payment Card Account. We collect the non-financial information you provide to National Payment Card when you enroll in Cumberland Farms SmartPay Check-Link. That information includes your name, address, email address, date of birth, driver license number/government issued ID number, loyalty card number, and phone numbers (home and/or mobile). The information we collect is used in connection with providing Cumberland Farms SmartPay Check-Link℠ services and for marketing purposes. This includes market research, internal record keeping, improving products or services, and sending you promotional communications such as special offers and discounts via email, your mobile App, or other means. Your submission of personal information to National Payment Card and the establishment and maintenance of your National Payment Card Account is separate and distinct from the Cumberland Farms SmartPay Check-Link App. Your submission of personal information to National Payment Card is subject to and governed by your agreement with National Payment Card and not these Terms and Conditions. Notwithstanding the foregoing, please remember you are solely responsible for maintaining the confidentiality and security of your National Payment Account, and for all activities that occur on or through your National Payment Card Account. On-line submission of company or fleet information, including financial information, by a business or fleet for credit approval purposes is separate and distinct from the Cumberland Farms SmartPay Check-Link App. Your on-line submission of company or fleet information is subject to and governed by the terms in the on-line credit application and other registration forms, and the terms of any website through which the information is submitted, and not these Terms and Conditions. If you do not wish to receive promotional communications from us, you may contact us at customerservice@cumberlandfarms.com, or you may write to us at 100 Crossing Boulevard, Framingham, MA 01702 attn: Marketing Department. You can also unsubscribe to promotional emails via the opt out link in each email. If you no longer wish to use Cumberland Farms SmartPay Check-Link℠, you may un-enroll through your National Payment Card Account. In order for the SmartPay Check-Link App to function correctly, Cumberland Farms and our partners and affiliates will collect, use, and share precise location data, including the real-time geographic location of your mobile device or swipe card. This location data is collected anonymously in a form that does not personally identify you and is used by Cumberland Farms and its partners and affiliates to provide the location-based SmartPay service at participating Cumberland Farms locations. If you are using SmartPay Check-Link, location-based data may also be used to provide you with location based mobile coupons or other marketing incentives. You agree that Cumberland Farms may collect and use technical data and related information-- including, but not limited to, technical information about your device, system and application software, and peripherals--that is gathered periodically to facilitate the provision of software updates, product support, and other services to you (if any) related to the SmartPay Check-Link App. Cumberland Farms may use this information, as long as it is in a form that does not personally identify you, to improve its products or to provide services or technologies to you. We may be required by law, litigation, or requests from public and governmental authorities to disclose the limited personal information we have about you. We may also disclose information about you if we determine that for purposes of national security, law enforcement, or other issues of public importance, disclosure is necessary or appropriate. We may disclose information about you if we determine that disclosure is reasonably necessary to enforce our Terms and Conditions or protect our operations or users. Additionally, in the event of a reorganization, merger, or sale we may transfer any and all personal information we collect to the relevant third party. We may also share the information we collect with third parties that help us market our services and products or that provide support services to us such as administering a contest, sweepstakes, or similar promotion. The information we share will normally be limited to name, address and/or email address. We take precautions, including physical, electronic and administrative procedures, to safeguard your personal information against loss, theft, and misuse, as well as unauthorized disclosure. These Terms and Conditions are effective as of June 10, 2014. Copyright ©2013 - 2019 ZipLine. All Rights Reserved.